Music superstar and producer, Don Jazzy loves films. 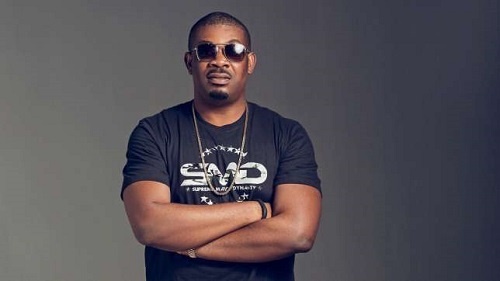 During the launch of one of his latest business ventures Floybt Wifi (a free Wifi service), Don Jazzy announced that he will be going into movie production very soon. He didn't gave a specific date he will start, but here are 3 reasons the ace music producer and entrepreneur will succeed in Nollywood. Don Jazzy is ruling the social media space with his wit and his benevolence. He has been the brain behind the success of his music empires (MoHits and Mavin). Don Jazzy is loved by millions of Nigerians online and offline for being real and truthful. He boasts of 1.96 million followers on Twitter and 2.7 million on Instagram. The winning formula of Nollywood is to tell stories that connect with the people, and Don Jazzy already has the 'formular' as confirmed in 'Adaobi'. Only a very, very rich man will ignore endorsements. Don Jazzy during the launch of Floybt, said he has out grown being an ambassador for brands and is more interested in partnerships. The former Johnny Walker, Samsung, Loya Milk and MTN ambassador, runs a music empire with about 120 staff and 10 artistes. He holds major stakes in an oil and gas company called Mavin Oil. Don Jazzy is always on the lookout for a new business venture and Nollywood fans have had a taste of his creativity. The success stories of Mo'hits and Mavin will never be complete without Jazzy's touch. The graduate of business management, put his managerial and music magic to work to run Mo'hits from 2004 to 2012, where he churned out hit after hit with Dbanj and Wande Coal. Out of the ashes of Mohits sprung Mavin which has continued to show Don Jazzy’s abilities to manage and diversify. He now controls a whole dynasty of fresh and old talent- Tiwa Savage, Iyanya, Dr Sid, Da Prince, Korede Bello, Dija, Reekado Banks. Don Jazzy’s business acumen will not only help grow Nollywood and the talents in the industry, but could also bring collaborations with major Hollywood production houses, like Warner Bros, Universal Studios or Paramount Studios. Look Out; it's Don Jazzy again!